Do you know of any places where sailors hang out? When I first heard that the two Shenmue games were to be updated and re released for the current consoles, I was excited, yet sceptical that they would ever see the light of day. After all, this is Shenmue, and Shenmue fans have learned be patient despite their scepticism. For those not familiar with Shenmue, two excellent games were released for the Dreamcast in 1999 and 2001. Although both games were a critical success, they underperformed financially and the franchise sadly entered a period of development hell that it’s yet to crawl out of even seventeen years later. The basic premise is an epic murder mystery revenge thriller. Japanese teenager Ryo Hazuki must discover who has murdered his father and then track him down to avenge his death. It doesn’t sound much by todays standards, but almost twenty years ago the sheer scope and ambition of the game was off the scale. It was a fully realised world to explore and engage in, people to talk to, clues to find, it was deep, emotional and atmospheric. This was prior to even basic console sandbox games like GTA 3, which is often hailed as a turning point in modern 3D gaming. 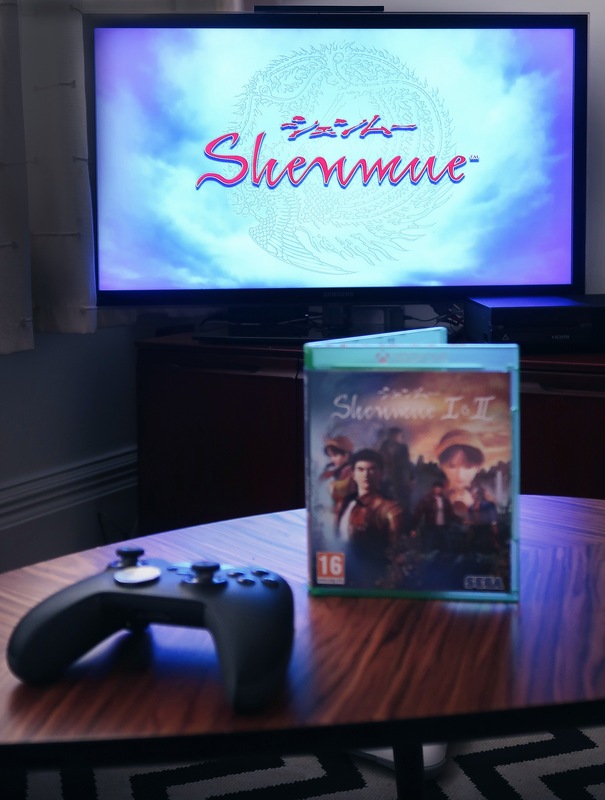 Shenmue was different, it had living and breathing characters you cared about and the effect was so strong that in 2015 creator Yu Suzuki launched a crowd funding campaign to fund the third instalment, which smashed its target within hours. Three years later, Shenmue 3 has yet to materialise, so forgive me for thinking the HD updates would never materialise. I was so blasé about the re release that the date slipped my mind until I started seeing numerous excited tweets. I immediately went to my nearest game shop and purchased what looked like the only copy, as the sales assistant eyed me with a mixture of what I presume was suspicion and pity. Having secured the game, I didn’t find the time to dedicate to playing until around a week later. Shenmue is not a pick up and play game, it’s an experience, and one that would need a good few uninterrupted hours so we could get well acquainted again. The original Dreamcast versions of the two games were presented in jewel cases across 7 discs and packed in card sleeves adorned with beautiful artwork. In my hand the Xbox One version condenses everything into one disc, the beautiful artwork remains, though it’s crazy to think just how much space was needed back then for a game of this size. I was feeling very nostalgic as the Xbox fired up the loading screens, the graphics were clean, crisp and colourful. The music was just as atmospheric as it always was and I was feeling sad already because I knew that in a few moments, poor Ryo Hazuki was about to see his father slaughtered in front of him. So far so good, but the nostalgia hit a bump when I actually started to press the buttons on the control pad and I was reminded of just how bad video game controls were in this era. 3D was still a reasonably new medium and many games controlled like a tank, requiring heavy handed button bashing to make basic moves. If you are used to the fluidity of the current generation of games, this will more than likely seem clunky and imprecise. However, if you are willing to persevere, Shenmue will more than compensate you for your patience. As the story unfolded, I was reminded of just how detailed this game is. Ryo’s house, the Hazuki residence is a home, you can explore the rooms right down to looking inside closets and drawers to discover items. As you venture into the wider world, the detail continues from neighbours houses, convenience stores, parks, bars, an arcade, a travel agency, there is even a fortune teller. The local town isn’t just a couple of interactive facades and a load of jagged dead space, you can enter each shop, purchase things, chat with the staff and the customers, all to further your mission of locating the killer of Ryo’s father. Just playing the game and walking around is an experience in itself, the game never feels linear or like it’s rushing you to completion. The graphics are rendered beautifully. Of course they may seem somewhat dated compared to some of today’s hyper real graphics but they capture the feeling of the game and illustrate it well. Shenmue implemented a night and day system, which again was rare at the time. This creates a feeling of time passing but also serves to immerse us in atmospheric sunsets and brisk winter mornings. Prior to playing this game again, I was worried that my rose tinted glasses meant it could never live up to my idealistic memories, and I feel safe to say I’ve proved myself wrong. There are of course a few stumbling blocks. Loading times were slower back then so sections of the game were chopped up in such a way that you would have to wait for them load. By removing these loading times, some sections of the gameplay don’t flow as well as they could if the game was made using contemporary methods. The voice acting can be a little stiff in places. Fortunately I think the main characters escape this and it’s only really minor npc’s such as shopkeepers. 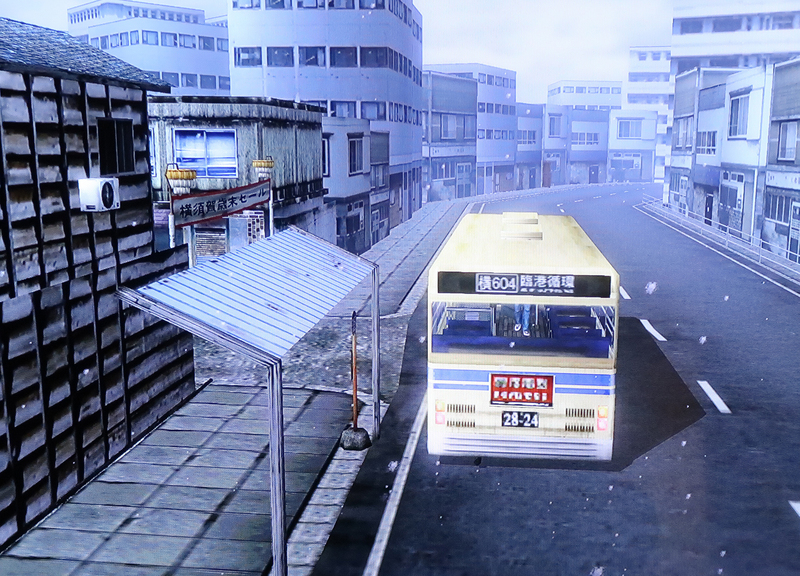 The biggest problem you’ll run into with Shenmue is pacing. If you’re impatient you may find yourself becoming frustrated with the infamous forklift truck section. This is a section of the game where Ryo must find himself a job working at the docks so he can infiltrate a gang for information on the whereabouts of the killer. This does not take place in the space of a cutscene, rather it happens over a few days, which may be a few hours real time. You actually have to apply for the job and then work driving a forklift truck. I found the forklift truck race at the start of every day much more tedious than the actual job itself, and I was further hindered by a glitch in which a specific cutscene to further the plot did not trigger so I was stuck at the warehouse a couple of days more than I should’ve been. It was actually starting to feel like real work without the benefit of wages. It has been argued over the years by fans that maybe Yu Suzuki paid a little too much attention to detail with this section but equally the mundanity and ultimately authenticity of this part of the game is what endears itself to many people. I found myself intrigued by catching a bus. This is something I have done many times myself in real life as a non driver, but somehow standing at a bus stop in Yokosuka looking at a timetable seems much more exciting as Ryo Hazuki than it does in the freezing cold of northern England. The little details are what draw you in. That’s not to say the game is without high octane events. It’s littered with the now common place QTE’s and spectacular cut scenes, as well as epic fights and even a high speed motorbike ride through the city at night. Possibly the most famous fight being the seventy man battle in which you must take on and defeat seventy bad guys including three bosses of increasing difficulty, all without the safety net of saving your progress. When I finally got through that (I think I took three attempts), I really felt proud of myself, as though I had actually achieved something. As the first instalment drew to a close and Ryo Hazuki finally boarded the boat to leave Japan for Hong Kong, I was overwhelmed by just how powerful this scene was. It’s cinematic and thoughtful as many of the cutscenes are. They don’t just serve to further the plot, they are framed and paced in a way that evoke emotion. 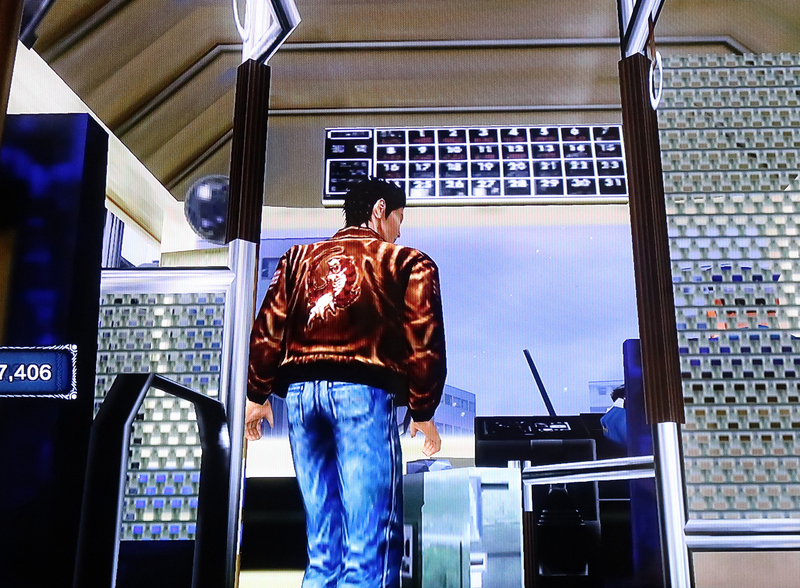 Shenmue deserves to be remembered as more than just a game that went down with the Dreamcast. It was one of Sega’s last battle cries at a time when it was arguably producing its most creative and innovative work, from an era that arrived just a little too early or maybe a little too late. 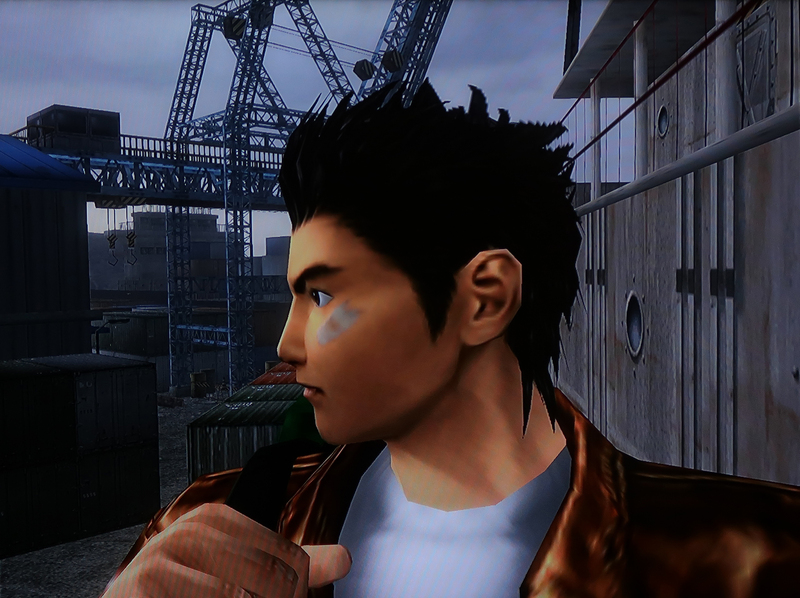 Shenmue brought together new features in 3D game play and fused with thoughtful cinematic gameplay it forged the building blocks of contemporary video gaming. It is, quite simply, a masterpiece. wonderfully written Zombie! I actually never had the time (nor patience) to go a few minutes with the original Shenmue on DC and Shenmue 2 on Xbox. After reading your flashback on it…I just might now with the HD remasters. It’s definitely worth persevering with. 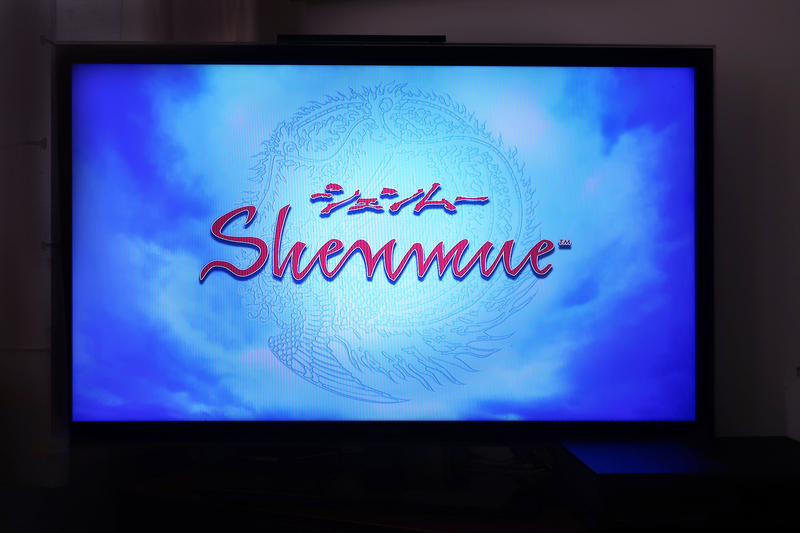 I hope Shenmue 3 finally makes it to a console next year.